Wonders shall never end. 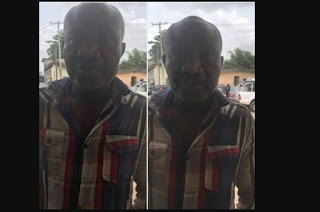 Operatives of the Rapid Response Squad (RRS) of Lagos Police command on Tuesday arrested one Emeka Anthony Uche. The man is said to be notorious for pretending to be deaf and dumb in order to steal from unsuspecting men and women. According to reports, Uche’s expertise was to sneak into peoples’ offices, steal laptops, mobile phones and other valuables in broad daylight. He was arrested yesterday after one of his escapades.